Jupiter Florida has plenty to offer for those looking for a relaxed beachside, outdoor lifestyle. Located on north end of Palm Beach County, Jupiter has A rated schools, miles of public access beaches and parks on top of parks. 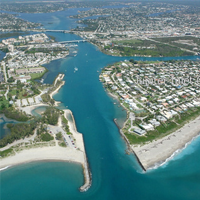 The historic Jupiter Lighthouse, marinas, culture, arts, dining and shopping are nestled along the turquoise blue waterways of the Jupiter Inlet, Intracoastal waterway and the Loxahatchee River. Easy access to Palm Beach International airport, major highways, I95 and the Florida Turnpike make travel to the area hassle free. Come see why so many fall in love with Jupiter.